Why Should I Choose a Ductless Mini Split System? Winter really got off to a strong, early start this year, didn’t it? You’ve already busted out the shovel and the ice melt, and you’ve certainly been running your heater regularly for some time now. How is your heater doing, though? Are you already starting to worry that it may not really be up to the challenge of warming your home for the rest of the winter season? Are you thinking about replacing it in the spring for any reason? Whatever the case may be, we strongly suggest that you consider using a ductless mini split heating system in Southern Vermont. These systems, simply put, offer a lot of unique benefits that other, more standard heaters cannot. Think we’re exaggerating? Then check out today’s post! We’ll cover the way in which ductless heating systems work, and how it is that they benefit homeowners in so many different ways. If you’re ready to heat your home differently, contact us to get started! Posted in Heat Pumps | Comments Off on Why Should I Choose a Ductless Mini Split System? Get Your AC Tune-Up Out of the Way Now! There are plenty of places in the country where residents’ air conditioners have already been going strong this year. Obviously, this is not the case here in Vermont. Don’t be fooled by yet another finicky spring season, though. 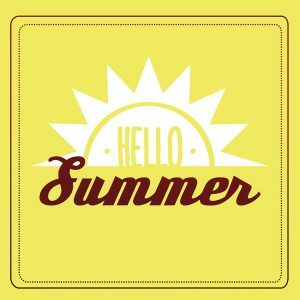 The heat of summer is drawing nearer with each passing minute, and you are going to be starting that cooling system up before much longer. If you ask us, it only makes sense that you should get it back into fighting shape ASAP. How do you do that? It’s very simple on your end, actually. You need only pick up your phone and dial our number. We are here to provide you with a thorough and effect AC tune-up in Springfield, VT and the surrounding areas. We also want to note that yes, there are plenty of very handy and self-reliant homeowners in our area. A responsible homeowner is one that knows his or her limitations, though. When it comes to routine air conditioning maintenance, the job should always be handled by experienced professionals. Posted in Air Conditioning | Comments Off on Get Your AC Tune-Up Out of the Way Now! Does My AC Have a Refrigerant Leak? New Hampshire may garner more outsider attention for reports of our brutal winters than we do for the heat of our summer seasons, but that does not mean that we don’t have to worry about uncomfortably hot days when summer does arrive. Once the season gets underway, you’ll be reminded right away of the fact that your air conditioning system is every bit as important as your home heating system is. With that in mind, it should be clear that any problems with your air conditioning system really must be resolved promptly. Posted in Air Conditioning | Comments Off on Does My AC Have a Refrigerant Leak? Well that’s strange, you think as you step in a puddle surrounding your air conditioning system. It appears that my air conditioner has sprung a leak. Never seen that before. While you are not hallucinating or imagining the fact that there is water surrounding your indoor AC unit, the fact is that your air conditioner does not actually use water in its cooling process. If the system does not contain water, though, where is it coming from? Has a pipe sprung a leak, with the water pooling around the AC? Posted in Air Conditioning | Comments Off on Why Is My AC Leaking Water? Do I Need Air Conditioning Repairs? When dealing with your air conditioner, the last thing that you want to do is wait for it to break down entirely before you have any issues with it repaired. The good news is that there are a number of different warning signs that you may notice which can tip you off to the need for repairs. The bad news is that these warning signs are fairly useless if you don’t know what it is that you are looking for. That is why we want to share some tips with you that can help you to recognize the need for air conditioning repairs in Woodstock, VT. While our summer season may pale in comparison to the legendary cold of our winters, that is no reason to put your comfort at risk when the heat really starts to rise. 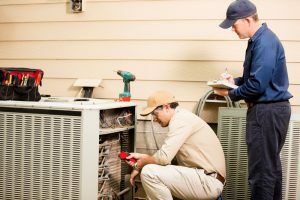 When you do spot the need for air conditioning repairs, the next step is to hire trained professionals that you can trust to complete those repairs for you. The expert technicians on our staff definitely fit the bill, so call at the very first sign of trouble! Posted in Air Conditioning | Comments Off on Do I Need Air Conditioning Repairs? How Fresh Is Your Air Conditioning Filter? Hopefully the answer to the question posed in the title of this post is “as clean as it needs to be.” If you have explored this blog or our website, you know that we do not advocate for DIY services when it comes to your HVAC systems. This includes the routine air conditioning maintenance that your system will need to excel in its operation and to function at peak efficiency levels. 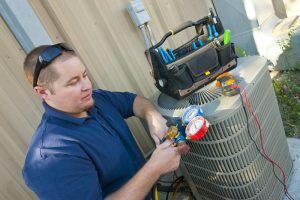 While the vast majority of your air conditioning maintenance should be left to trained professionals, there is one important task to handle on your own. This is to keep a fresh air filter in your air conditioner in Bellows Falls, VT. This may sound like a minor point of consideration to you, but trust us. 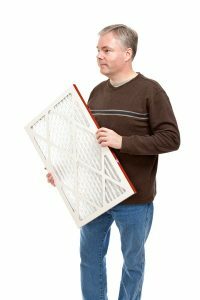 If you fail to keep a fresh filter in your air conditioning system, your air conditioner is going to fail you in a number of ways. The effects may not be instant, and your system may not break down entirely just because you missed a single filter change. Over time, though, you can expect to encounter various problems. Posted in Air Conditioning | Comments Off on How Fresh Is Your Air Conditioning Filter? Why Would My AC Blow Warm Air? 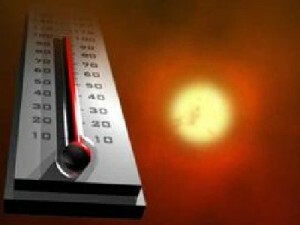 Summers here in Vermont are not as intensely hot as in certain Southern and Southwestern areas of our country, but things still get plenty uncomfortable when the temperature starts to rise once more. 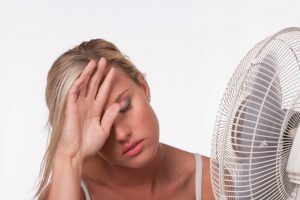 If you are serious about keeping your home cool and comfortable regardless of how hot it may get outside, you need to have a great AC installed in your home. Of course, even the best air conditioners may run into operating trouble from time to time. If your air conditioner in Springfield, VT is blowing warm air, it should be pretty obvious that something is wrong. The good news is that the problem causing your air conditioner to blow warm air may not be all that serious. In fact, it could be a very simple case of user error. There are also some potential issues that could be quite serious, though. Following are a few items to check should you find your AC blowing warm air, as well as a couple of examples of more serious problems that could be in play. Contact us if there is no clear solution in your situation. Posted in Air Conditioning | Comments Off on Why Would My AC Blow Warm Air? 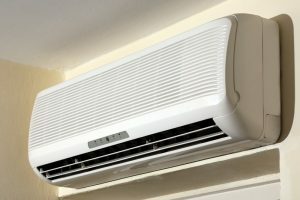 Can I Save Money with a Ductless Air Conditioner? Chances are that the answer to the question posed in the title of this blog is “yes.” Ductless mini splits are a great option for homeowners looking to cool their homes in a more efficient and affordable manner. In fact, ductless mini splits can save you money in quite a few ways, three of which we will discuss below. Just remember that a ductless mini split, like any other air conditioner, is only going to function as efficiently, effectively, and reliably as possible if it is expertly installed by trained technicians. We’ll make sure that this is the case. Also remember that these systems should be considered an investment. When shopping around for a new air conditioning system, you will notice that ductless mini splits are priced higher than traditional split central air conditioners are. With the long term savings that a ductless mini split in Ludlow, VT allows for, though, you can recoup that initial expense and save real money over the years. 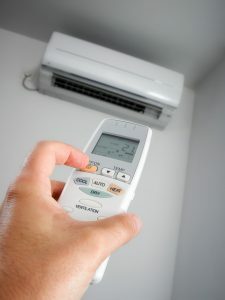 Posted in Air Conditioning | Comments Off on Can I Save Money with a Ductless Air Conditioner? Why Are There Hot Spots in My Home? We are still waiting for the weather to really warm up around here. We have definitely had some warmer days lately, but we’re also not ready to start running our ACs just yet, either. That’s not a bad thing, though. Sure, after our winter season we are all ready to start enjoying warmer weather. That being said, this is a great chance to take care of some serious business, such as scheduling routine air conditioning maintenance. While professional maintenance is without a doubt the best way in which to protect your home cooling system and the quality of its overall operation, even this will not make your system 100% reliable. At some point, you are going to encounter issues with your AC in Charelstown. That is why you should be on the lookout for early warning signs, such as hot spots popping up throughout your home. Posted in Air Conditioning | Comments Off on Why Are There Hot Spots in My Home? Help! My AC Is Blowing Warm Air! When people think of Vermont’s weather, they probably first think of cold, dark winters. We certainly have our share of cold weather, but if you’ve been here the last few summers, you know that it gets quite hot around here as well. That is why any problems with your AC in the summer are just as dire as a failing heater in the winter. One common problem that homeowners encounter with their air conditioning systems is hot or warm air blowing out of the vents. This is obviously not normal, and the problem may have a few different source causes. Whatever the case, you can count on us to get your air conditioner in Springfield, VT back on track. Posted in Air Conditioning | Comments Off on Help! My AC Is Blowing Warm Air!